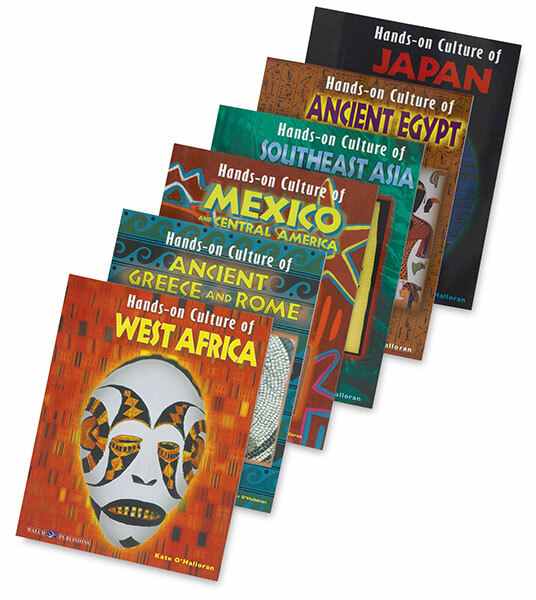 Discover the history, geography, science, math, literature, and art of 6 cultures around the world. Students often remember what they do better than what they study, so these practical, reproducible books guide them through doing activities drawn from many cultures. The activities range from making an Egyptian mummy doll to cooking West African plantain chips. Teaching materials that come with each book include a current list of related Web sites, lists of required materials, background information, and learning objectives. These books are recommended for students in grades 5-9. 8-3/8" × 10-3/4" (21 cm × 27 cm). 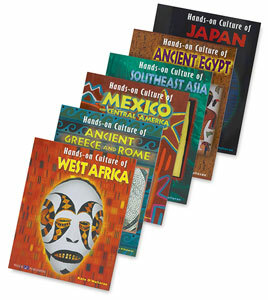 Complete Set of 6 — This set includes all six books in the series, which explore the cultures of Japan; Mexico and Central America; Southeast Asia; West Africa; Ancient Egypt; and Ancient Greece and Rome.